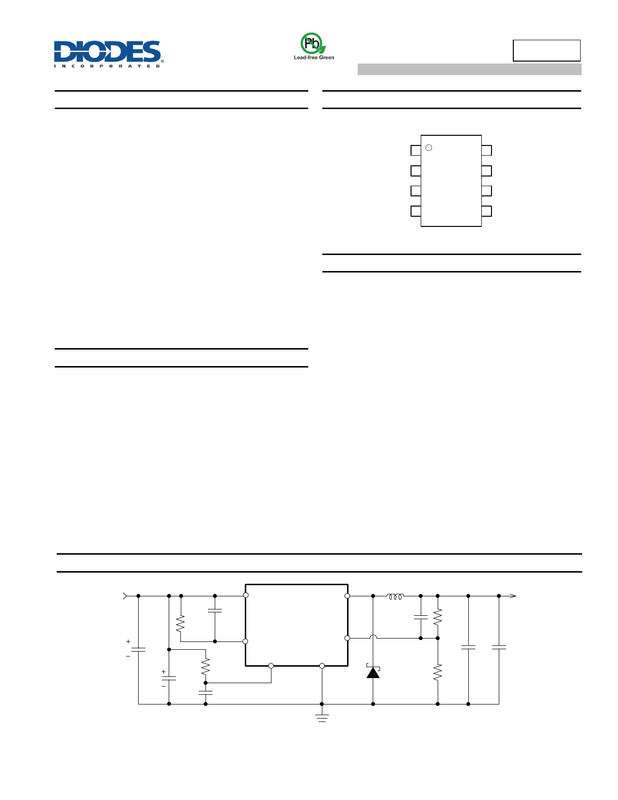 error amplifier and internal PMOS. providing such outstanding features as low current consumption. is also suitable for the operation via an AC adapter. Notes: 1. No purposely added lead. Fully EU Directive 2002/95/EC (RoHS) & 2011/65/EU (RoHS 2) compliant. 2. See http://www.diodes.com/quality/lead_free.html for more information about Diodes Incorporatedâs definitions of Halogen- and Antimony-free,"Green"